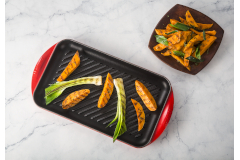 From the Classic Square Skillet Grill to the Extra-large Double Burner Grill, Le Creuset has a variety of options for your cooking needs. The Enameled Cast Iron grills feature a black satin finish to prevent wear. 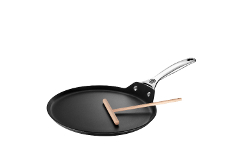 You may use these pans on your stove top, in the oven or directly on your outdoor grill. 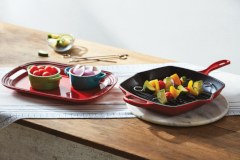 In Le Creuset's range of beautiful signature colors.